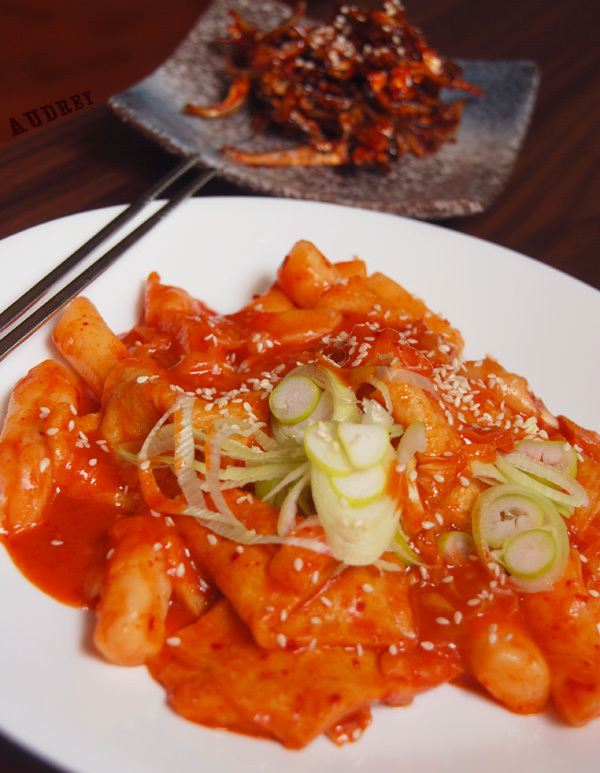 Pronounced as tteokbokki, this dish is supposed to be one of the favourite dishes of the Koreans, especially as a street snack on a hungry after-work day. I remember first eating this food for lunch at a ski resort in Korea back in 2005. It was freezing cold; we were both tired from a day of non-stop skiing. 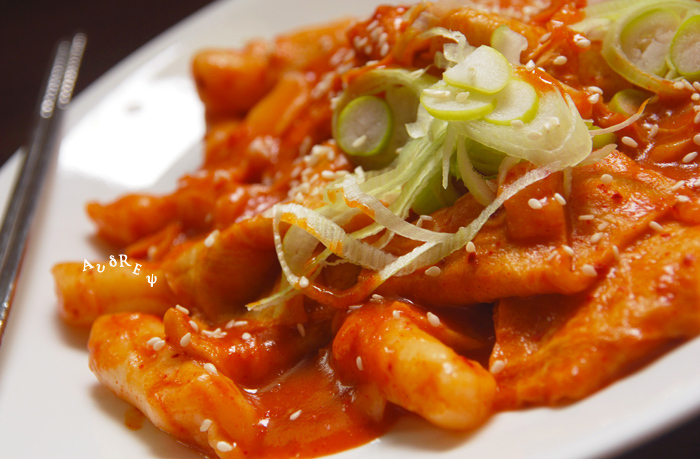 In such a situation, the tteokbokki tasted especially lip-smacking and memorable. This would make for a good dish to complement the next episode of 런닝맨 (Running Man)! Soak the rice cakes in water for 30 mins. Blanch quickly in boiling water to remove oil. Drain water and set aside. Add anchovies into the 4 cups of water and set to boil. Leave stock to simmer for 15 mins. Remove anchovies from stock. Stir in chilli paste and sugar. Add rice cakes and cabbages. Simmer over low heat for 10 mins till cabbages are softened. Add fish cakes and leeks. Leave to cook another 5 mins. Add tomato sauce, chilli flakes and pepper. Stir to mix well. Serve hot with Korean side dishes such as 멸치 볶음 (myeolchi bokkeum – chilli paste anchovies), as shown in photo above. Adding tomato sauce helps to thicken and sweeten the paste, hence making the dish more flavoursome. This recipe is adapted from a recipe blog written by a true blue Korean. Hope that helps to make it authentic. And it does taste good too! This entry was posted in Korean, Rice Cake and tagged Fish Cake, Gochujang, Stew. Bookmark the permalink.